Recent 6 months were pretty busy, we now make much faster progress in development of our little nixie tube factory than anytime ever. 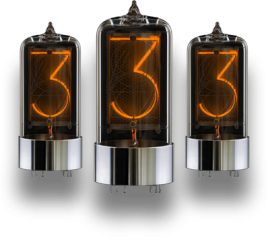 The Zen Nixie Clock is what has been making us really busy. Since summer 2016, we’ve shipped over 100 clocks and have received great feedback from customers. 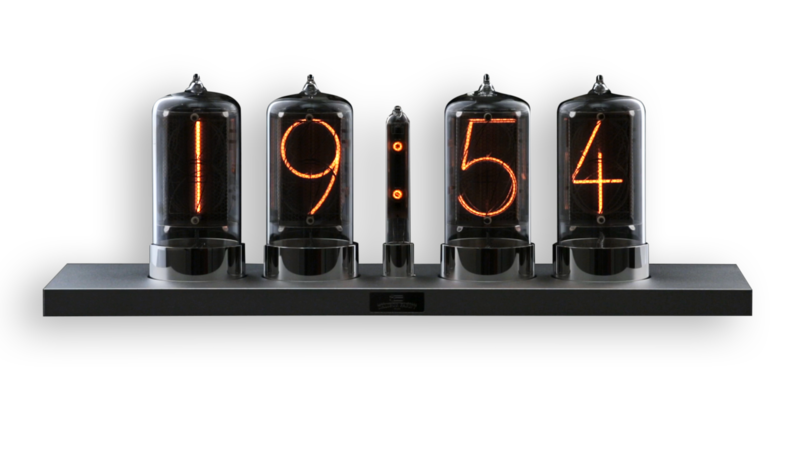 Apart from nixie tubes themselves, customers like minimalistic design and also electronic features of our clock (internet connectivity with automatic time synchronization, clock settings accessible from website, easy online update with new firmware etc..) and level of craftmanship. The Zen clock is now our main product and project which pays the bills. Zen clock was also a complex lesson regarding to understanding of who is our customer, motivation to get the clock and most important – customer’s expectations! All these information are invaluable for our future creations. We now ship 1-4 clocks every week, in a bit unpredictable pace. With 18 suppliers involved (just the clock, not counting the tubes! ), issues (and delays) appears regularly. We now have 34 orders for Zen clocks. We were shipping at lower pace than orders were coming, so I decided to stop taking new orders to catch up. I expect to finish all these orders in 3 months, then I would like to open orders again – stay tuned (https://farny.localghost.cz/newsletter/)! 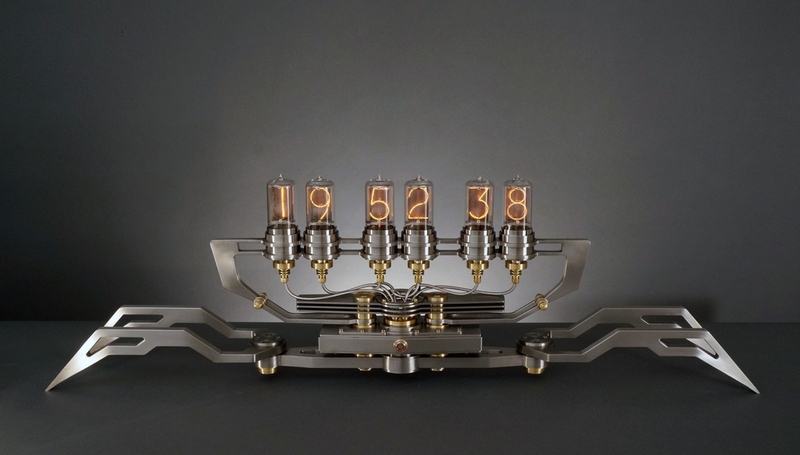 We also did major improvements in arrangement of production workflow of our nixie tubes. The work has been distributed among our people (we are 5 now) so that the working pace is consistent without bottlenecks (stuff piling up at one place while no work at others). Everyone now can work without waiting for parts coming from the others. The main point was to create sufficient capacity “buffers” where people can take all necessary parts from. For instance, Monika (internal system assembly) needs metal parts (anode mesh, anode backplate, digits), ceramic insulators, ceramic rods, getters, mica sheets, stems with wire feedthroughs, glass envelopes. All this must be prepared every day for assembly, when a part is not ready, there are no tubes prepared for sealing that day and Katerina (glass blower) has no work and I need to find her something else. In the past, we repeatedly had problems with running out of some parts from several reasons. On the beginning, it was cashflow – I needed to wait with ordering of parts until we received payments. Sometimes the parts were ordered too late and we had to stop production for a week or two. There were also situations when we ordered parts early enough, but some issues appeared on side of manufacturer which caused a delay in delivery and stopped our production again (holidays in country of manufacturer, a package stuck at our customs, maternity leave of the manufacturer’s key person etc..). It also happen that the parts we receive are faulty, wrong material or different from our specification. Our parts are often difficult to produce and at the edge of limits of manufacturer’s technology, so mistakes/problems simply appear. For instance the anode mesh which is produced by etching has very thin lines – thinner than is generally recommended for etching technology. Also the ceramic rods which hold the stack of digits are relatively long and has small diameter, and because they are made by extrusion it is difficult to make them straight and within tolerances we need. All these problems can be solved by having large stock of all parts and order new parts many months in advance – this gives me enough time to solve problems and potentially order completely new batch of parts in case the one coming is not good. 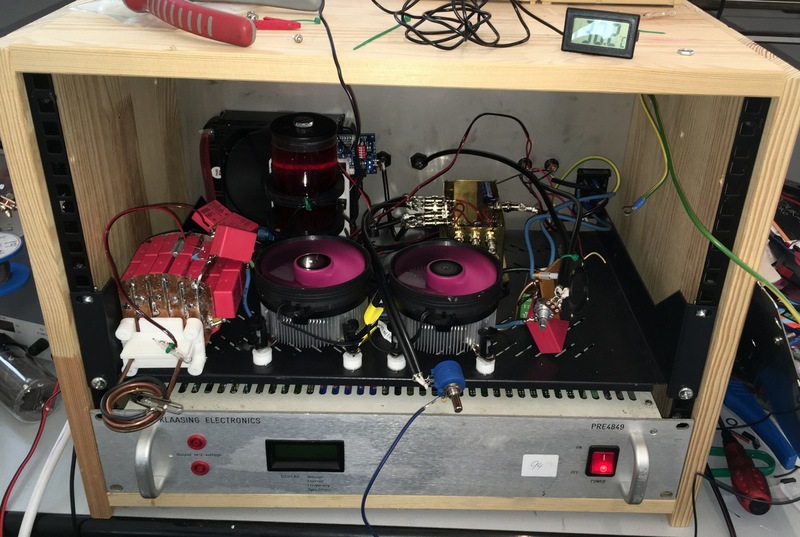 Disadvantage of this “large stock” approach is that it is very expensive as lot of money lays in the stock and we were not able to go this way until Zen Nixie Clock manufacture started and we made some profit. Nixie Machine II is really really special project and I am very proud we can be part of it. The clock is an exclusive creation by Frank Buchwald for M.A.D. Gallery, our part was to develop electronics and of course manufacture of the nixie tubes. Design of the electronics was made using experience with electronics from our Zen clock. We were meeting for almost two years with Frank Buchwald, alternately in Berlin (in Frank’s studio) and in Brezolupy (in our lab/shop) – unforgettable time! There were many aspects special for this design and we wanted to be sure all will be 100% perfect. Particle Photon is compact and powerful Wi-Fi enabled microcontroller, it is similar to Arduino as for programming (Wiring) but with wifi connectivity and mighty cloud environment built around by Particle. We use it as a brain of our Zen Nixie Clock and I also got used to build all other electronic devices around Photon (pumping machine, burn-in machine, soon will come pneumatic press brake etc..), it is very easy to make it interact with other devices and control it remotely, collect data, plot charts etc.. very useful when you do R&D. As usual, the development was not completely flawless and I had to face few bugs which were hard to track down. With enough patience and persistence, all were eventually worked out. DHCP problem – one of the problem in first batch of clocks was related to starting DHCP during the first time connection process to internet. This issue made it impossible to connect your computer to clock when transferring wifi credentials to the clock (just for the first time) – in these few cases, the issue was solved by setting the IP address manually. The cause of this bug was found in hardware – the copper pour keepouts had to be extended to prevent the copper ground plane interacting with Photon’s Wi-Fi antenna. The problem was eliminated in subsequent batch and we haven’t noticed it since then. Another bug was occasional freezing of the clock which needed manual reset of the clock (power off/on). The bug was found to be related to wireless communication and very hard to replicate on our side (combination of internet latency, router, signal strength..). This bug first appeared in 2016 but was soon identified to be in system firmware. Particle (manufacturer) released a bugfix and we havent seen this issue since then. Later in 2016/2017 the issue appeared again. This time (after long experimentation), I finally finished a set up where replication of the bug was successful. One particular board was found to freeze when placed behind 130cm stone wall (I made use of the castle walls ;-), the Wi-Fi signal from router behind this wall was so poor (but still present) that the clock was loosing the connectivity round and round and it forced the board to reconnect frequently, making it eventually freeze. As a solution, I used a software implementation of watchdog, which is running on critical-priority thread of the FreeRTOS and is capable of reseting the clock automatically when it freezes. We will continue in finding cause of the bug eventually fixing it and prevent from happening at all. This project was especially exciting as a lot of time passed since my last project of similar complexity, I truly enjoyed it. Getter flashing was one of the bottlenecks in our production for long time. 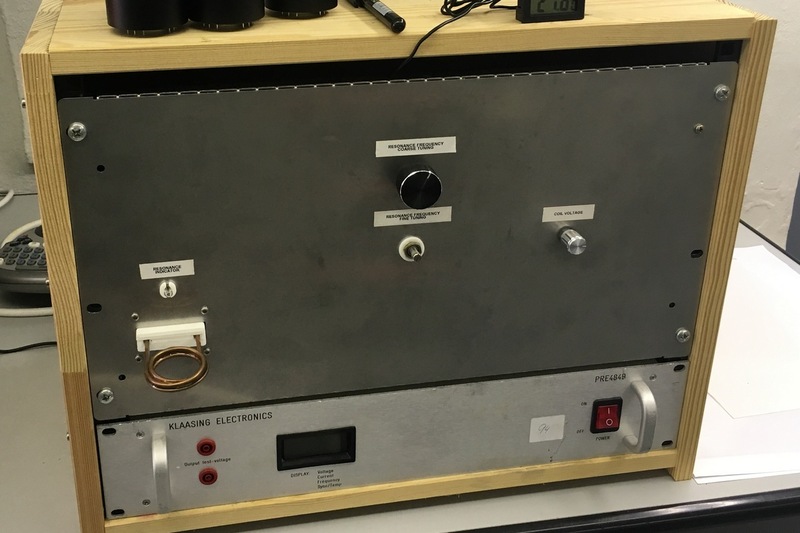 The small induction heating unit I used for production was designed for R&D, for just very light duty. It was getting hot fast and cooling down long time – something heavy duty was necessary. As usual, I didnt find any suitable (affordable) heater available on a market, so I had to design and build one myself. It took maybe 20-30 hours of work and the result is perfect. Working coil is water cooled (closed circuit with water reservoir and fan cooled radiator), power FETs are mounted on large CPU heatsinks (fan cooled) keeping them cool all the time. 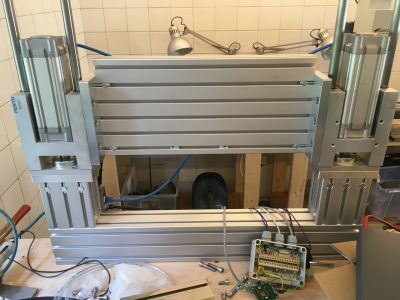 Next design will implement cooling also for resonant capacitors as they also get heated, but for our current production pace it is OK. This is how it looks inside – a bit messy, however all RF sensitive wiring is done in coaxial cables, all RF sensitive circuits are in EMI shielded box. 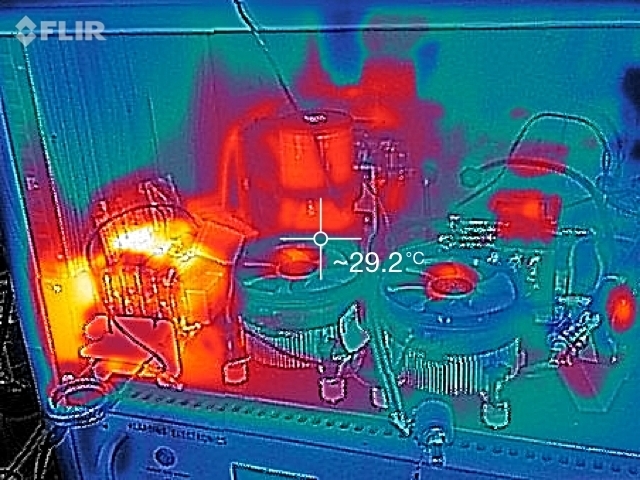 I use a Flir One camera module for iPhone for checking dissipation of heat – very neat tool! Significant amount of time was spent in research of failures of our tubes – specifically failures of the glass to metal seal (the place where wires go through glass) as all the other parts of manufacture are practically error-free. We are now at serial number #2700, so we have a representative sample of data regarding the failures. Failure rate between #800 and #2300 was 2.3% within first six months after manufacture. Failures after six months from manufacture are very very rare (if there is a reason for the seal to fail, it shows up in the mentioned 6 months). At #2300, I reworked leak checking and added many inspection procedures through all manufacturing process. This added significant complexity in our manufacture, but we are able to catch some possibly problematic tubes before shipping to customer – it will pay off. So far, there is 0% failure rate reported from customers since #2300, but its yet too early to make conclusions as only few months has passed. My goal is to achieve 99.5% reliability of the seal. Reliability of our tubes and also life expectancy will be covered in detailed separate article. We make average $15.000 monthly revenue since January 2017. Average bank account balance is around $10.000 (July 2017), was around $5.000 in January 2017. In January, we successfully transitioned from taking payments in advance to taking payments just before shipping. This meant 2 months window with negative cashflow, but I can now sleep better, knowing I dont have paid orders waiting. We are 3 fulltime employees + 2 part time. 4704 emails received, 3156 emails sent from January to June 2017. Almost every day, after 14:00 (2 pm) when daily manufacture is done and others go home, I have my “R&D time” – a way how I reward myself. Its time when I push things forward and usually improve existing machines or design/build new. Our most burning problem right now is low production which doesn’t cover demand from customers, and we really want to make customers satisfied 😉 so, I am one by one taking bottlenecks in our manufacture and make changes to the processes to increase our production. 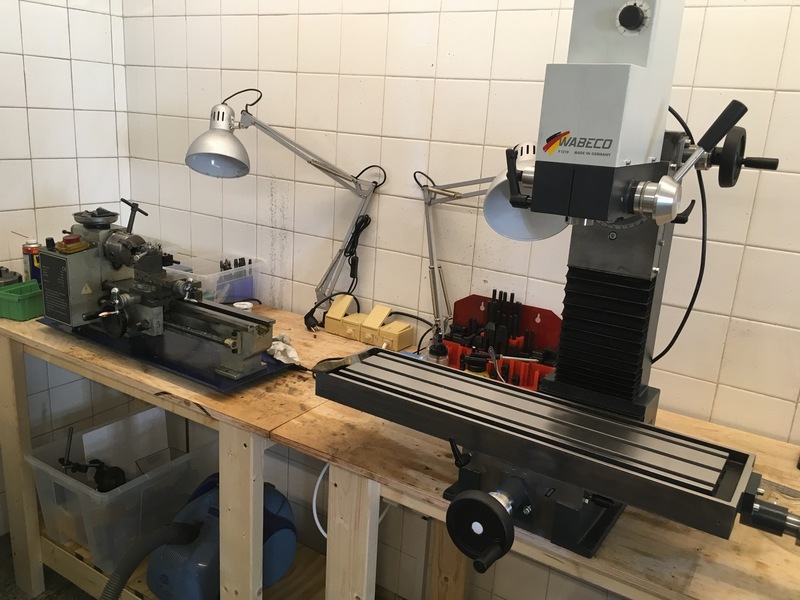 Significant part of our investments goes to machine shop. 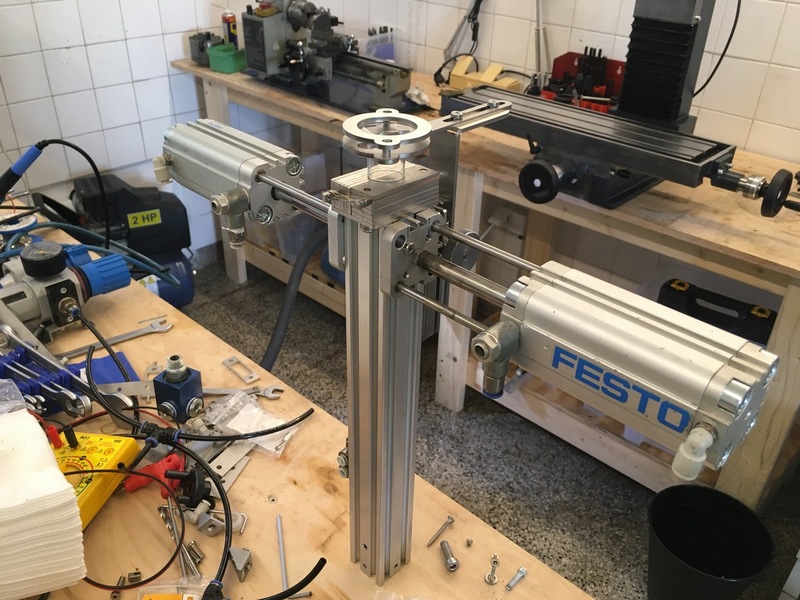 For instance, I am building a pneumatic press brake which will allow us to bend internal metal parts (anode) faster and consistently in shape – no need to rework it by hand, lower rejection rate in subsequent manufacture. 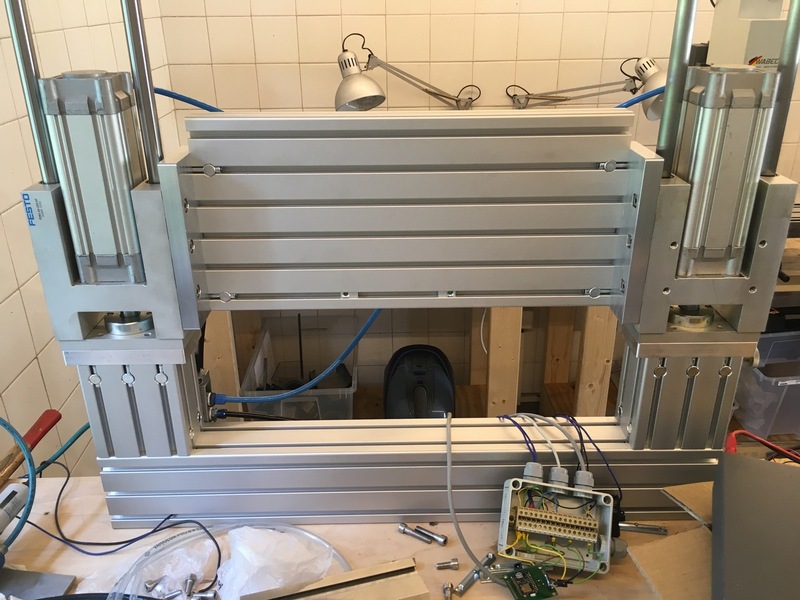 Another project is a stem making machine – this will press glass around the wires in consistent and repeatable way. It is one of the items we need to have for increasing reliability of the glass to metal seals to mentioned 99.5% from current 97.7%. The amount of work increased significantly in recent year, I will need to hire someone to help me with daily operations, so that I can focus on development and communication. We need to increase revenue to secure funds for new team members. The production capacity of our machinery/people is limited, so I will start with lowering rejection rate in individual manufacture steps.